Caithness Glass opened their first factory in Wick, Scotland in 1961. 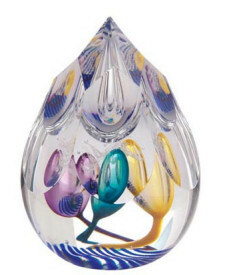 The first Caithness paperweights were produced in 1969, using the traditional methods of millefiori and lampwork. 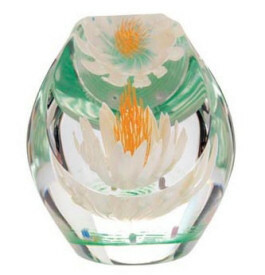 The company is now a division of Dartington Crystal (Torrington) Ltd.
Each paperweight is unique in design and handcrafted in Scotland. Caithness paperweights have a reputation of being the finest in the world and have become highly collectable. The Caithness Glass Paperweights Collectors Society was founded in 1976 by Colin Terris, the company’s master paperweight artist. For many years members received a paperweight as a joining gift and were also able to purchase special annual and collectors society paperweights. Pictured here are the 2009 society paperweights Floral Summers Day and Magic Carpet. The Events paperweight for 2009 is Sanctuary. There is now a Caithness Glass newsletter and Facebook group. The Caithness Factory and Visitor Center is now located at The Crieff Visitor Centre. NOTICE – This site is not affiliated or associated in any way with Caithness GlassTM. 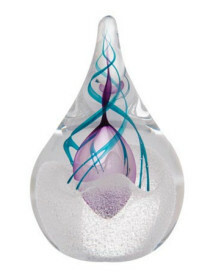 The purpose of these pages is to provide information to collectors of Caithness Glass Paperweights.